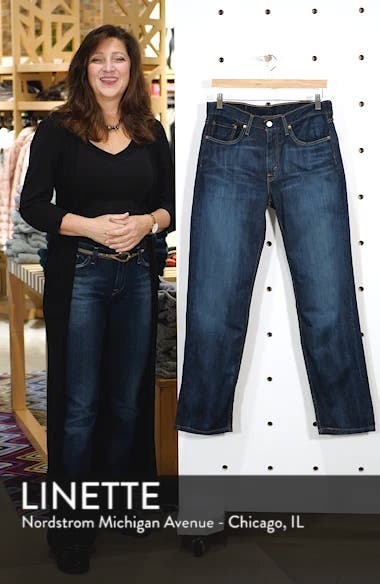 Comfortable straight-leg jeans achieve a broken-in look and feel with liberal whiskering and fading that would otherwise take years of constant wear. Choose a sizeMid rise. True to size. Comfortable through the hip and thigh. Classic straight cut from knee to ankle.